Below is a list of parts that are used when installing horizontal blinds. Note: You may not receive all the parts listed. You may also receive additional parts that are not needed. We will only send you the horizontal blinds parts for your particular application. 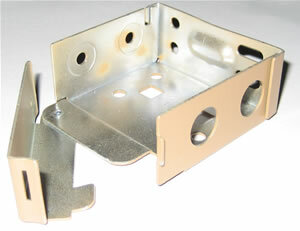 Standard bracket used to install horizontal window blinds, wood blinds and faux wood blinds. 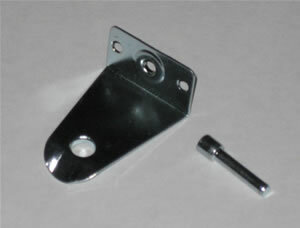 Horizontal Blinds may be mounted inside the window frame our outside with this same bracket. 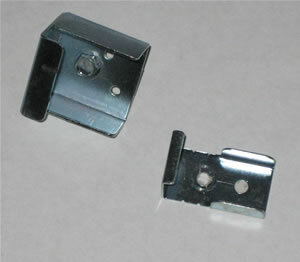 Attach the bracket to the wall or window frame using 2 screws. Once the brackets are mounted, simply insert window blinds into the bracket and close the hinge. Hidden bracket used to install mini blinds. Once the brackets are mounted, simply insert the bracket into the top of the blinds headrail and close the hinge. 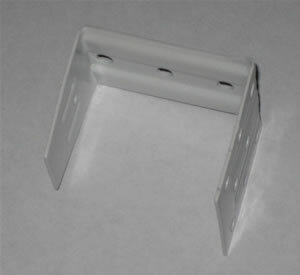 Center support bracket used to support larger window blinds. 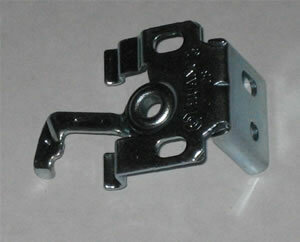 Horizontal Blinds may be mounted inside the window frame our outside using this bracket. Once the bracket is mounted, simply insert window blinds into the bracket. Metal valance clips screw into the back of the valance. Valance is attached to the blinds headrail by simply setting the metal valance clip onto the headrail. 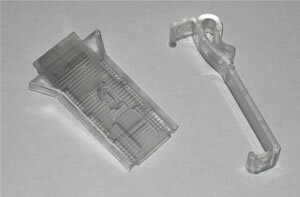 Plastic valance clips comeein 2 styles. Embassy blinds offer a hidden plastic valance clip that attaches to the back of the valance. Express blinds offer a "wrap around" style plastic valance clip. Hold down brackets are used when installing horizontal window blinds in an application where the bottom of the blinds need to be secured such as on a door. Horizontal Blinds may be mounted in an outside mount with this same bracket. Insert the pin into the window blinds bottom rail. Once the brackets are mounted, simply insert pin in the window blinds bottom rail into the bracket. Spacer brackets are using when installing horizontal blinds in an outside mount and the blinds need to be further away from the wall. 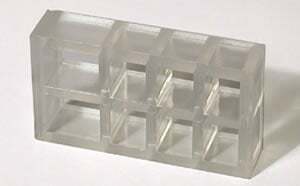 Using the blinds mounting brackets and 2 screws, place the spacer brackets between the wall and the mounting bracket and simply screw through the honeycomb spacer block. The wood tassel is used on the ends of the tilt and lift cords for wood blinds and faux wood blinds. 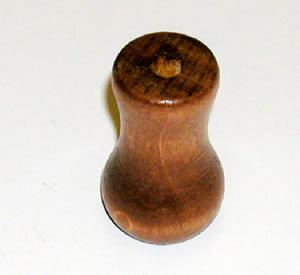 Picutred is a real wood blind tassel. Horizontal blinds can be titled by use of a wand tilter or a cord. 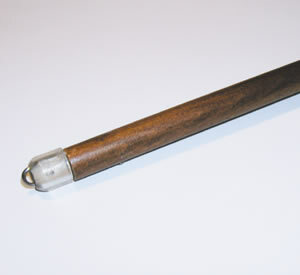 Pictured is a wood wand tilt. 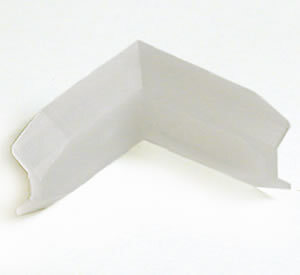 The valance corner adapter is used on certain valances to connect the returns on outside mount valances. The headrail end stiffener is used to support the ends of the headrail of the blinds. 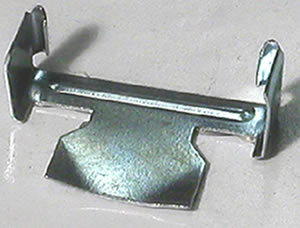 One is inserted into each side of the headrail. Blinds Chalet, has more than 25 years of experience selling and installing window blinds and window shades. Attractive, high quality, and durable window blinds and window shades fit any energy saving plan, decorating style, and budget. Blinds Chalet window coverings come from manufacturers who use only the highest quality materials and resources, and each is backed by a limited lifetime warranty. For information on what types on energy efficient blinds, blind accessories, and any other window covering needs, visit www.blindschalet.com.